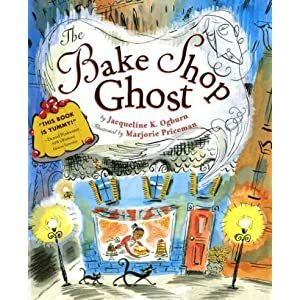 Now I really do feel like Annie in The Bake Shop Ghost. I’m trying one recipe after another, trying to find the magical one that will strike just the right note for Read It All Up®. I think tomorrow’s recipe is going to be the big winner, but tonight’s was an interesting adventure all on its own. And this time I waited until after Juliet went to bed to get started, so while the baking wasn’t as cute as yesterday’s, it was a lot more precise. We collected our favorite guilt-free recipes, which cleverly use more nourishing options to replace the fattening elements in traditional cupcakes. But don’t be fooled by ingredients such as vitamin-loaded veggies and protein-rich grains—each treat still explodes with delectably sweet flavor. 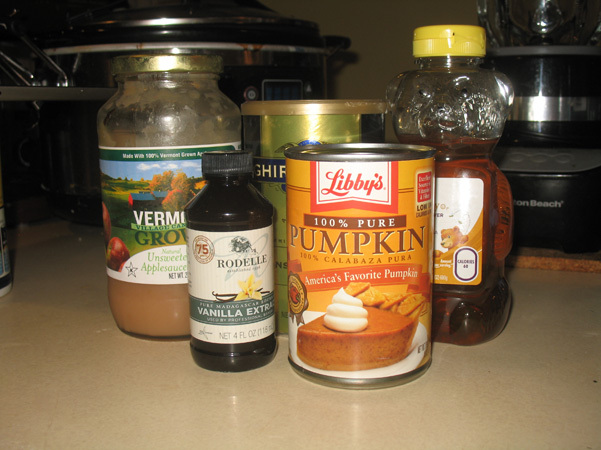 Honey, vanilla, and pumpkin provide the sweetness in this one. 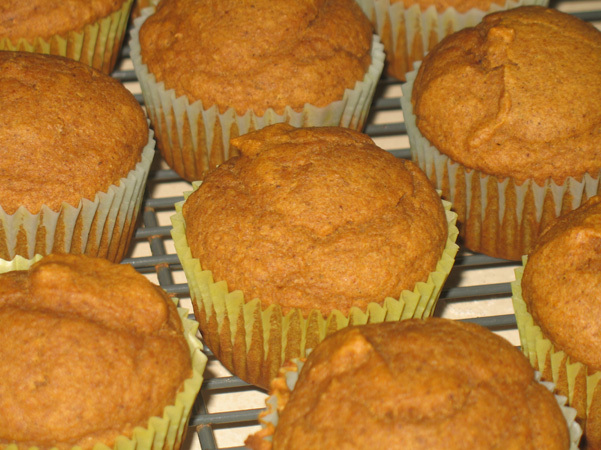 Can you really make sweet delicious cupcakes without sugar? The journey began with a cup of pumpkin. 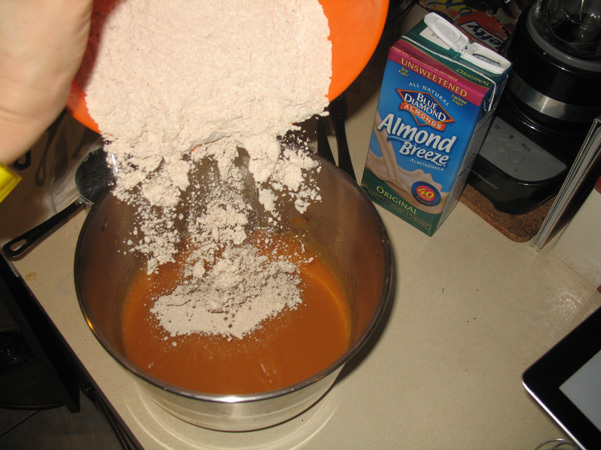 Then, almond milk. I’ve never used almond milk before; in fact, I was so unfamiliar with it that I didn’t even know where to find it at the grocery store this weekend. Nathaniel wanted to know why they don’t call the yolks “egg yellows”, which made me wonder why the egg white is called the white when it’s transparent, but then I remembered what it looked like when it’s cooked. Nathaniel’s question makes a lot more sense. And this time, I remembered the vanilla. Definitely. With evidence. 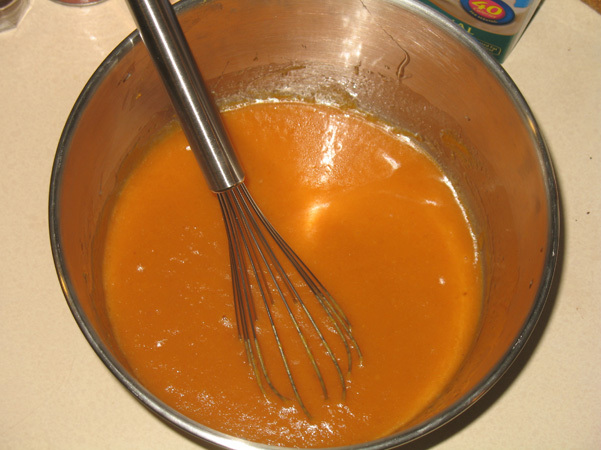 I whisked it all together, and it took on a reasonably familiar, pumpkin batter kind of look. 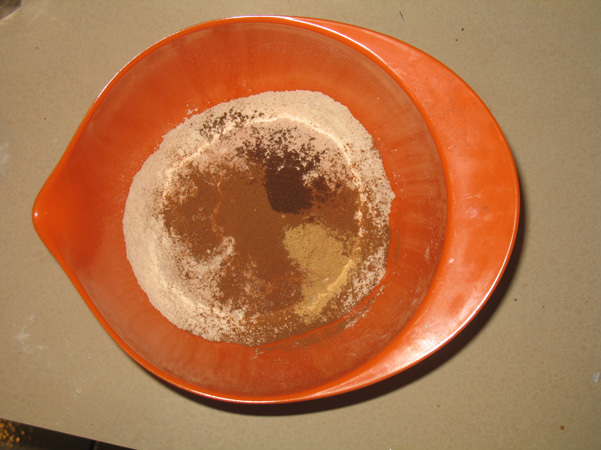 Then I put the dry ingredients in a separate bowl. Whole wheat pastry flour, baking soda, salt, cinnamon (I used 2 heaping teaspoons instead of 1 1/2), ginger, and cloves. 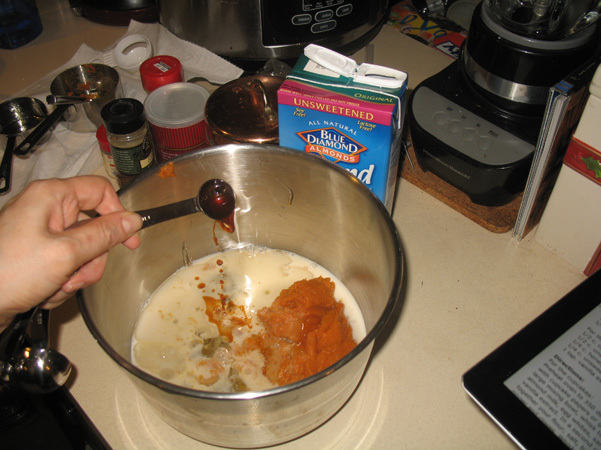 I added that to the first mixture. I whisked it all together. The recipe said it should be thick but runny, which it most definitely was. I poured it into the tray. 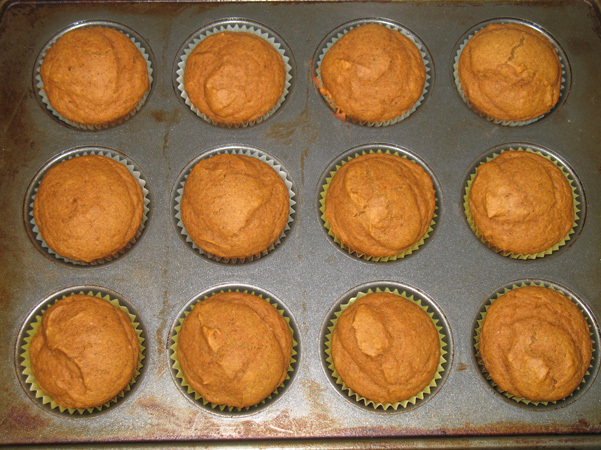 The recipe said I’d get 16 cupcakes out of the deal, but I decided 12 big ones were better than 16 teeny ones. While they were in the oven, I cleaned up, as it was starting to look like Cora Lee’s ghost from the book had been throwing things around my kitchen. There was flour & pumpkin all over the counter. 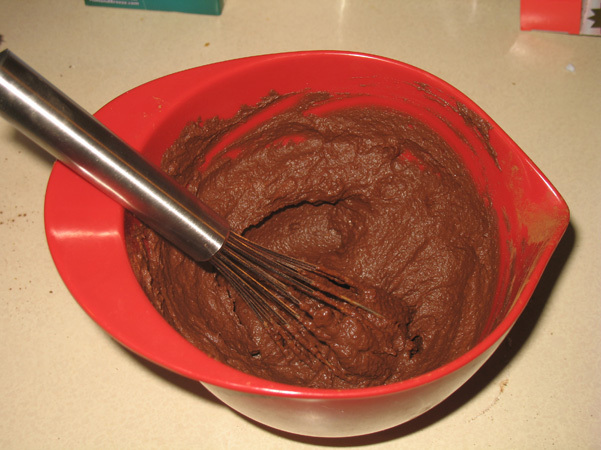 Then I got the ingredients together for the frosting. 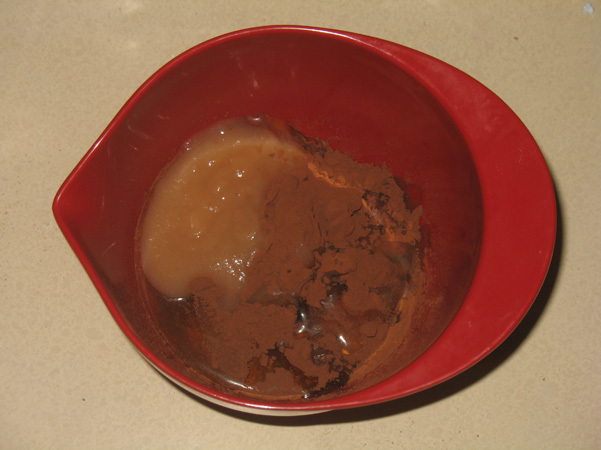 Shockingly, for frosting, there was no confectioners’ sugar. This was going to be interesting. I measured everything out into a small bowl. 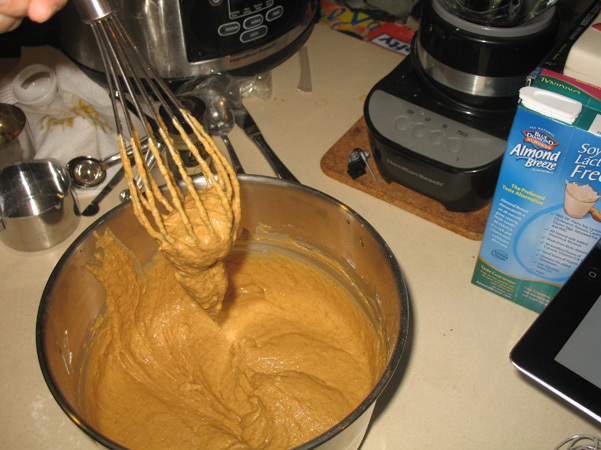 Unlike my previous experience with frosting, this required whisking instead of using an electric mixer. The texture was perfect, effortlessly. And then the cupcakes were ready! They looked great, and smelled even better. Out of the pan, they looked even better. 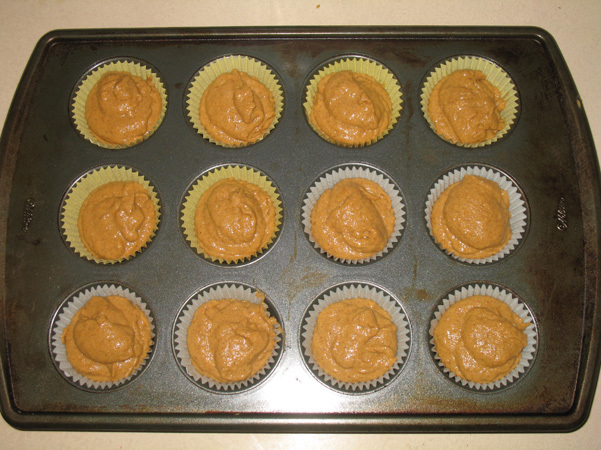 I let them cool, and tasted the frosting. I didn’t like it. Dave came by and he tasted it, and said it was VERY heavy on the chocolate, but good, but I like my frosting sweet instead of strong. 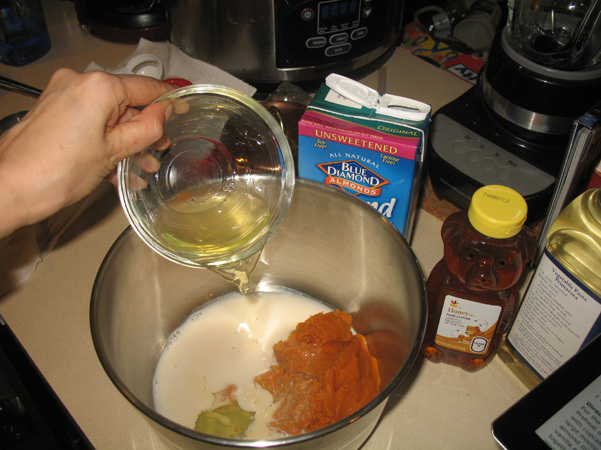 I added about a teaspoon of confectioners’ sugar and a little more honey & vanilla. It helped, marginally, but I just didn’t like it. Still, I went ahead and frosted one of them. 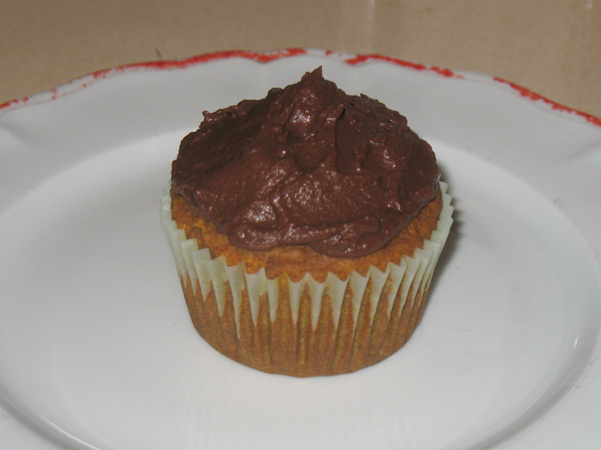 My verdict: the cupcake is a win, the frosting is not. I’m thinking some cream cheese frosting would go a long way here, maybe with some cinnamon chips on top! 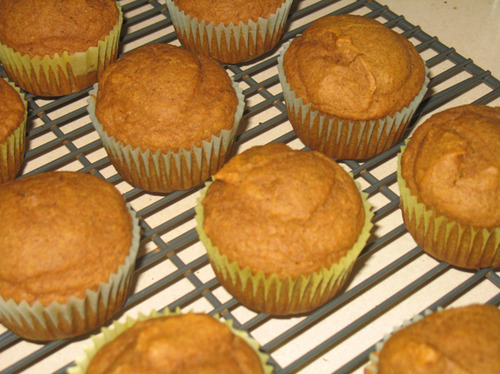 And this recipe, while not as low in Weight Watchers points as my Pumpkin Muffins With Sugar On Top, is much healthier because it has no sugar and very little oil. 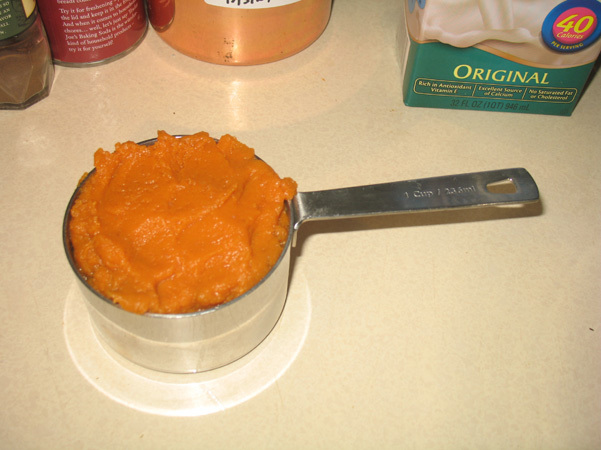 For kids, this is ideal, as it’s got pumpkin, almond milk, honey, applesauce, cinnamon, and ginger, among other things. 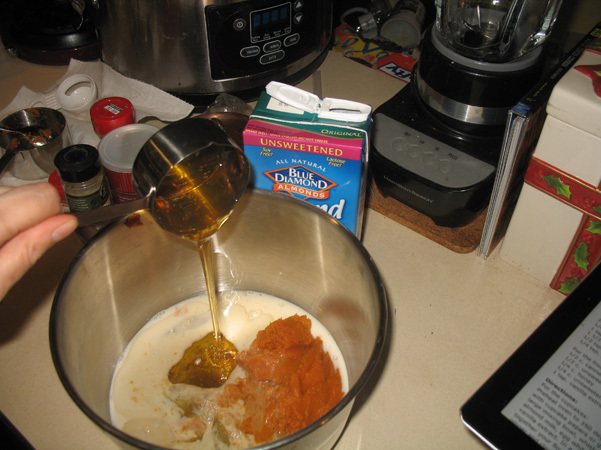 So if we decide to go with this one, I’ll have to make cream cheese frosting and cinnamon chips, and although it won’t really be healthy, it will taste good. 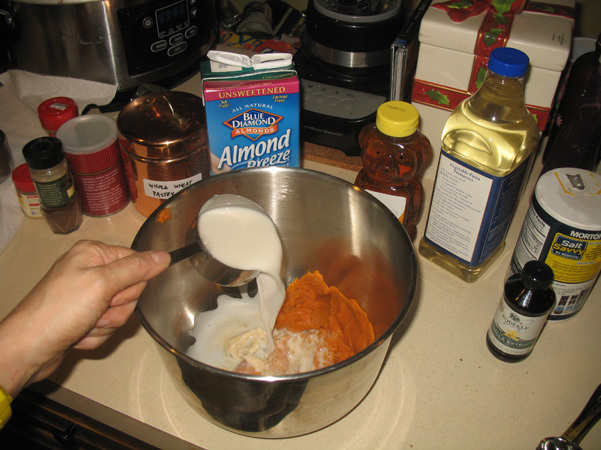 So the answer to the question, can you make a delicious cupcake without sugar, is yes! But not frosting. Sugar is essential to the deliciousness of frosting, at least in my book. I think Cora Lee & Annie, of The Bake Shop Ghost, would agree.